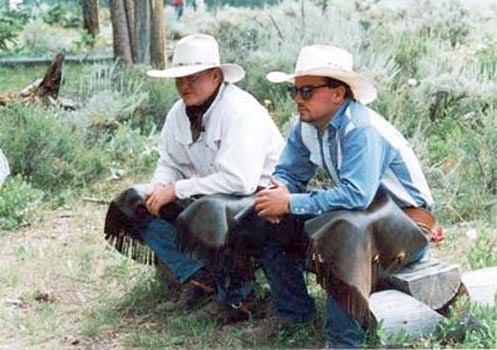 This is Shane (on left) and Jeff taking a break. They are Summer cowboys. Shane is from Michigan and Jeff is from Indiana. Colorado cowboys don't look this clean when they work.